Petra Hendriks is a Professor at the University of Groningen, The Netherlands. Her publications include Breinmakers & Breinbrekers (with Niels Taatgen and Tjeerd Andringa, 1997) and Optimal Communication (with Helen de Hoop and Reinhard Blutner, 2006). Prof. dr. Henriette de Swart is professor of French linguistics and semantics. She is also affiliated to the cognitive artificial intelligence program. Her research focuses on cross-linguistic semantics, especially in the area of nominals, tense and aspect, negation. Conflicts in Interpretation applies novel methods of constraint interaction, derived from connectionist theories and implemented in linguistics within the framework of Optimality Theory, to core semantic and pragmatic issues such as polysemy, negation, (in)definiteness, focus, anaphora, and rhetorical structure. It explores the hypothesis that a natural language grammar is a set of potentially conflicting constraints on forms and meanings. Moreover, it hypothesizes that competent language users not only optimize from an input form to the optimal output meaning for this form, or vice versa, but also consider the opposite direction of optimization, thus taking into account the speaker as a hearer and taking into account the hearer as a speaker. 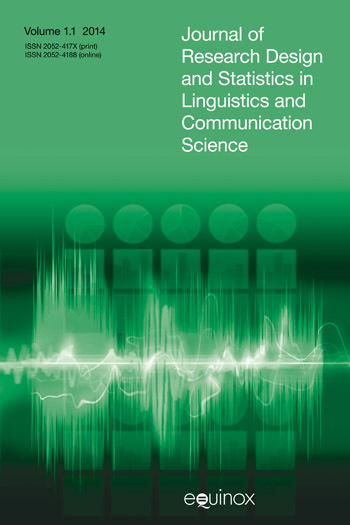 The book aims to show that such a bidirectional constraint-based grammar sheds new light on the relation between form and meaning, within a sentence as well as across sentence boundaries, within a single language as well as across languages, and within competent adult language users as well as during language development. An important dimension of the book is the structured investigation of issues at the interface of semantics with syntax and pragmatics, such as the effects of distinguishing between speaker’s perspective and hearer’s perspective in comprehension and production, stable and instable patterns of form and meaning across languages, and the development of a coherent pattern of form and meaning in children. Conflicts in Interpretation will be of interest to any researcher or advanced student in linguistics, cognitive science, language typology, or psycholinguistics who is interested in the capacity of our human mind to map meaning onto form, and form onto meaning. This chapter provides an introduction to optimization approaches to language. Under an optimization approach, speakers select the optimal form for expressing a given meaning, and hearers select the optimal interpretation for a given form. This chapter focuses on a strategy of persuasion and argues that in order to persuade their audience, speakers effectively use their implicit linguistic knowledge of how hearers arrive at the optimal interpretation of a speaker’s utterance. The chapter illustrates this use of bidirectional optimization with an alternation in the order in which a when-clause and a main clause are presented and the concomitant interpretations. This chapter investigates a well-known instantiation of variation of form in Dutch, viz. the occurrence of a direct object either to the right or to the left of a sentential adverb, generally captured under the term scrambling. The chapter shows that in general there are two structural positions available for direct objects in Dutch. The authors argue that an adequate analysis of the phenomenon requires the linkage of the two forms to different meanings for the objects under consideration. 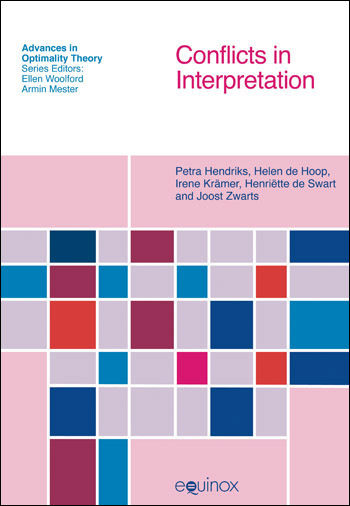 This chapter investigates children’s interpretation of indefinite noun phrases in Dutch in different positions in the sentence. In the domain of word order variation, several studies on the acquisition of object scrambling show that children are capable of producing scrambled structures already at a young age as well. 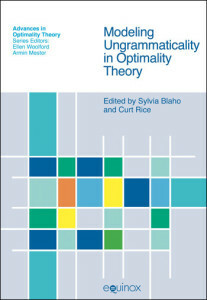 Previous chapters of this book have paid attention to bidirectional Optimality Theory, stressing the importance of bidirectionality in natural language interpretation. The present chapter aims to answer the question whether the failure to optimize bidirectionally is an example of a more general pattern that can also be observed in other areas of language comprehension. Moreover, it aims to answer whether the hypothesized failure to optimize bidirectionally has similar consequences for children’s production of marked forms. That is, if children also experience problems producing marked forms. The study of the expression and interpretation of negation carried out in this chapter shows that a universal set of violable constraints, combined with the possibility of a language specific ranking provides new insights into semantic variation. This chapter focuses on the distribution and interpretation of bare nominal in a range of languages. It is argued that an OT typology is responsible for the differences in distribution. The semantics is directly recoverable from the syntax, under the assumption of a small set of correspondence rules between form and meaning. Thus, the view, that setting up referents in conversational space and referring to them are universally available cognitive operations, is maintained. This chapter discusses a few optimization patterns in the lexical domain, focusing on spatial prepositions. The main purpose of the chapter is to show the paradigmatic nature of the lexicon, i.e., a lexicon in which lexical items compete for ‘semantic space’ and shape each other’s meanings. This chapter summarizes the aims of the book and presents the conclusions as well as future directions of Optimality Theory.